We have already expressed our concerns about the Norfolk and Waveney STP’s Mental Health Strategy. 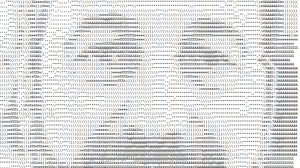 Now, our worst fears have been confirmed. Whilst the Mental Health Strategy contains some fine words, it has little concrete information about the future of mental health services. 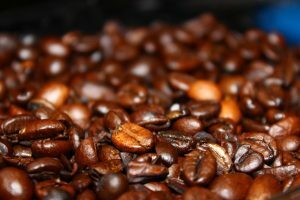 Worryingly, the Mental Health Strategy was not co-produced with service users and carers and seems to have been largely written by a US management consultancy firm, Boston Consulting Group (BCG), at unbelievable expense. There also appears to have been little input from front line clinical staff with mental health experience and qualifications. 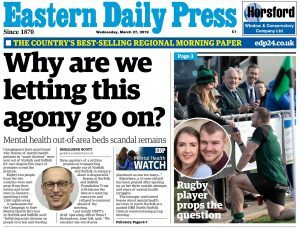 Research and analysis by our campaign of the recent Demand and Capacity Review, again written by BCG at enormous cost for the Norfolk and Waveney STP, exposes the truth about the STP’s intentions. The BCG Demand and Capacity Review proposes the transfer of up to 127 mental health staff from existing secondary mental health services to primary care and cuts of up to £6.1m to the budget of Norfolk and Suffolk NHS Foundation Trust (NSFT) as part of the implementation of PRISM. PRISM is largely a new name for mental health link workers, which were abolished as unaffordable during the radical redesign. 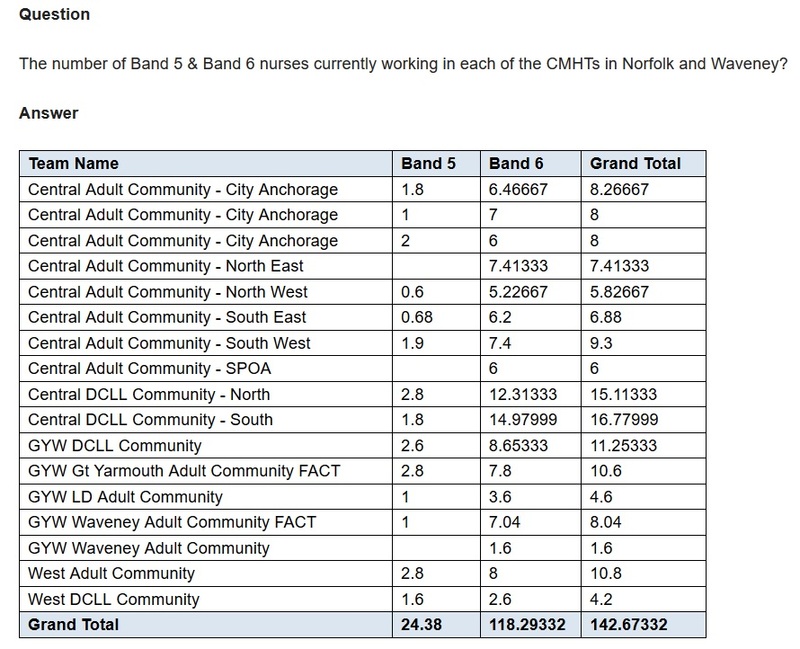 The average cost of each PRISM worker of £48,000 indicates that the primary target of the transfers is Band 6 or Band 7 nurses. One of the founding demands of our campaign was the restoration of mental health link workers, predominantly nurses, in GP surgeries. So we should be pleased. But we have always been clear that any restoration of link workers should be in addition to, not instead of, current secondary mental health services, as was the case before the disastrous radical redesign. The Demand and Capacity Review is clear that the driving force for the transfer of skilled mental health workers from secondary to primary care is to reduce the overall workload of GPs by ten per cent, so that GPs can spend more time treating physical health conditions. 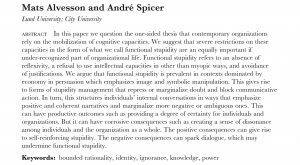 This is the polar opposite of parity of esteem and is direct discrimination against mental health. When GPs pay for a physical health nurse in their surgery to reduce their work, say for diabetes, the cost does not come from the budget of the acute hospitals. 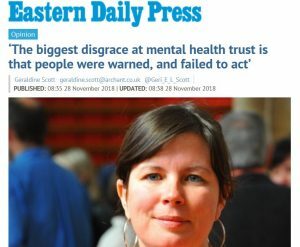 Why is mental health being discriminated against yet again by the Norfolk and Waveney NHS? 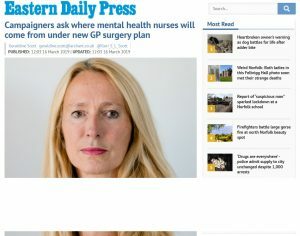 The discrimination is clear when the Demand and Capacity Review considers ‘System issues’ and talks about two Norfolk and Waveney trusts in Special Measures (the Norfolk and Norwich University Hospital and the Queen Elizabeth Hospital): obviously the mental health trust, NSFT, being in Special Measures and Inadequate isn’t noticed or doesn’t matter. 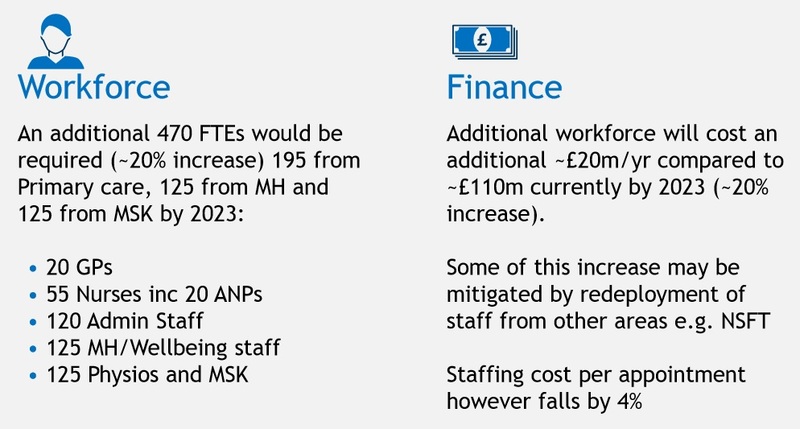 The Demand and Capacity Review also raises the £95m deficit faced by the Norfolk and Waveney health economy in 2018-19, and proposes cost and deficit reduction by the transfer of staff from existing providers. The only example it gives is the mental health trust, NSFT. So, what is proposed is up to £6.1m of cuts to secondary mental health services, already rated Inadequate three times by the Care Quality Commission (CQC) and in Special Meaasures for an unprecedented second time, to reduce the workload of GPs by ten per cent. When clinical commissioning groups (CCGs) were created by Andrew Lansley’s discredited Health and Social Care Act, the idea was to put family doctors in charge of local health commissioning. But the Government was concerned that those same family doctors could use commissioning powers to feather their own nests, so the commissioning of primary care services provided by GPs was made the responsibility of NHS England. That concern appears to be justified by this attempt by GPs in the Norfolk and Waveney STP to cut secondary mental health services to reduce their own primary care workload. Two of the other main criticisms of CCGs are that they are bureaucratic and that GPs and the bureaucrats working in the commissioning groups are not qualified in, and do not have experience of, the secondary services they are commissioning. The plans for mental health confirm that this criticism is justified. Anybody with knowledge of secondary care mental health services knows that mental health nurses are almost impossible to recruit but are key components without whom front line service delivery is impossible. NSFT currently has 200 nursing vacancies and runs rolling recruitment and development campaigns, just to stand still. All the psychiatric intensive care beds in Suffolk were recently closed due to lack of nurses. The mental health trust spends millions of pounds on agency and bank staff to try to fill the gaps to safely staff inpatient and community services. The most recent CQC report found that NSFT does not have enough community staff. So, where will these 127 additional nurses come from? To investigate further, we sent a Freedom of Information (FOI) request to the mental health trust, NSFT. The FOI response from NSFT confirms our worst fears. In the whole of Norfolk and Waveney, including Great Yarmouth, Lowestoft, Norwich and King’s Lynn, there are just the equivalent of 118.3 full time Band 6 nurses in the seventeen working and older age community mental health teams. There are even fewer Band 5s, just 24.4, and they don’t yet have the experience to work independently in GP surgeries. To fill the 127 envisaged posts in GP surgeries would require the transfer of every Band 6 nurse working in all the community teams and more besides. Where else are the staff going to come from? That’s every single care coordinator, when community caseloads are already impossibly high and with patients who should have a care co-ordinator held on ‘managed waiting lists’ or ‘team held’. The impact on the quality and continuity of secondary mental health care would be devastating. All to reduce the mental health work of GPs to enable them to spend a larger proportion of their time treating physical health. 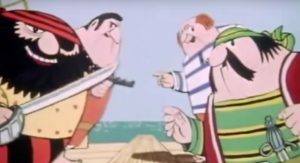 How could the Norfolk and Waveney STP get it so wrong? We’ll have more on that and the ‘proven’ PRISM model in Part II.